Application : For use with all types of SWA extruded bedding cable where it is essential to produce IP 66 seal on to the outer sheath and also produce an IP 66 or explosion proof seal on inner sheath. It provides seals on to both inner sheath and outer sheath of the cable. 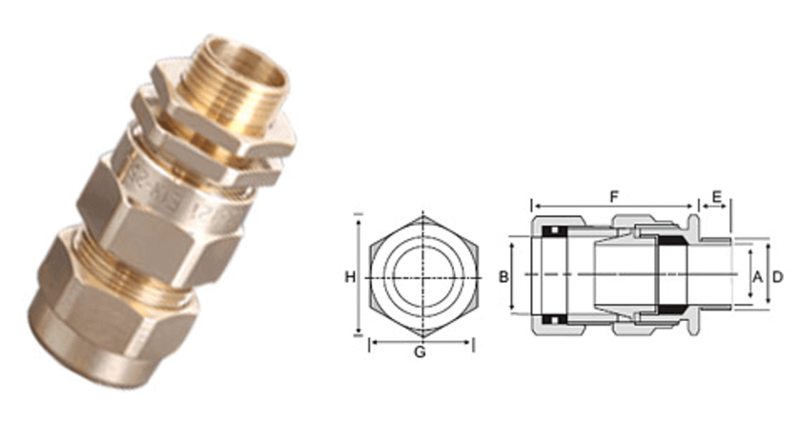 Design Features : 2 part armour / Earth Lock , Knurled Armour Lock produces a low resistance earth clip, Inner and outer displacement, Rated at IP 66 in conjuction with entry thread seal. This is also available in CIEL (cast integral earth lug) for orders add" C" to prod. code.